Hypnotherapy has been approved for use by the British Medical Association since 1955 and is also recognised by the National Institute of Clinical Excellence (NICE). It has also been developed into a science and there is a section devoted to medical hypnosis at the Royal Society of Medicine in London. It is a form of therapy which enables you to enlist the help of your conscious and unconscious/subconscious mind. The emphasis is goal orientated and allows you to focus your attention internally, re-accessing resources and creating new associations, patterns of thinking and behaving. It is holistic, safe and effective and has successfully helped many people deal with a range of mental, emotional and physical conditions. Is Hypnosis / Hypnotherapy the same as sleep? No, it is not the same. It is an altered state of mind similar to daydreaming or becoming so absorbed in an activity, that you lose track of all time. During a hypnotic trance you are not asleep, merely unconcerned about your surroundings. Some people liken it to feeling inbetween being asleep and awake. How does the hypnotic trance state feel? Lovely! Very relaxed! It is a very enjoyable experience, similar to the feeling you may experience when you allow yourself to drift off to sleep in the evening. The bodily senses slowing down and your muscles beginning to relax. The hypnotic trance shares the same commonalities, with the only difference being that you are deliberately inducing this state, either through a Hypnotherapist guiding you or you guiding yourself in the form of self hypnosis. Nobody can be hypnotised against their will, so if you choose not to be hypnotised, you will not be. However, it is said that if you allow the process to occur, that most people are hypnotisable. It is important to have a comfortable and trusting relationship with your therapist. Will I remember everything during hypnosis? Some things you might remember, other stuff maybe not. Most clients report they didn’t remember everything from the sessions but that they started to behave and think differently after the sessions in line with their desired outcome. Sometimes it will be necessary for you to remember certain pieces of the process in order to ensure your total success. Occasionally clients believe they remember everything, because they are totally unaware of the information they have forgotten. Sometimes clients believe they have fallen asleep and remember almost nothing about the process, although report feeling very relaxed. In this event it is unlikely that sleep has occurred, but rather a deep level of trance, accompanied by amnesia. Are there any side effects from hypnotherapy? Basically is it safe? 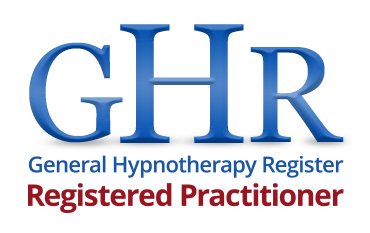 With a Registered Hypnotherapist such as Gary Wood, you are in safe hands. Gary treats his clients with utmost care, your psychological health is his number one priority. The worst possible side effect is that you may fall asleep during the hypnosis but even then, because the hypnosis is recorded on to CD, you can still listen to it at home! You are in total control of your trance experience. On the other hand, the best possible side effect that you will notice is a complete alleviation of your presenting problem and the knowledge that you were able to create your own success. If you want to learn more about Hypnotherapy, don’t hesitate to contact Gary himself with any of your questions.